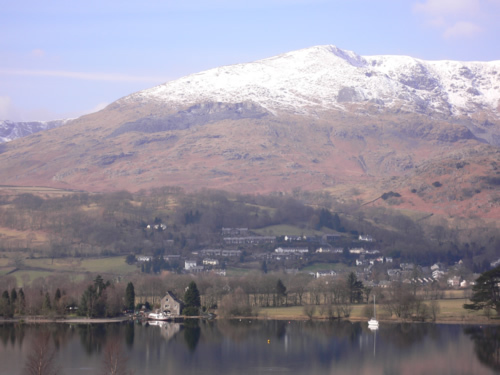 Beck Lodge is ideally placed between Coniston Water and Coniston village centre. A five minute walk beside the beck (stream) takes you to the Coniston Boating Centre which offers all types of water-sports and the ‘Bluebird’ café (thebluebirdcafe.co.uk) named after the famous Donald Campbell’s speed boat. 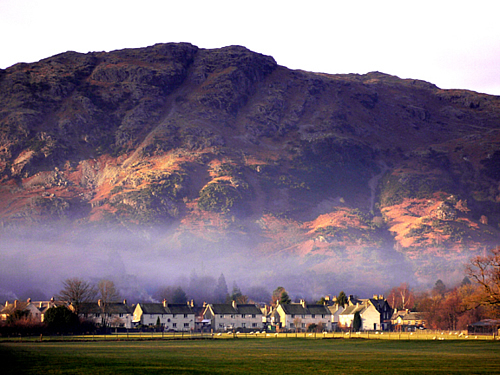 The centre of Coniston village is also a five minute walk away. Here you will find five pubs all serving food, many cafes (one internet), restaurants, three small supermarkets and a petrol station. There is also an information centre with full details of activities in and around the area. 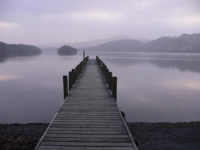 Beck Lodge is the closest accommodation to the boating centre and is also close to Coniston Sailing Club. The Lodge is ideally placed for low/high level walking. The very picturesque ‘Tarn Hows’ is an hour’s walk away or 15 minutes by car. Routes into the Coniston Fells start on the doorstep and the Cumbria Way passes by Beck Lodge. 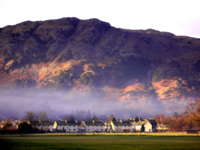 The village of Coniston ( Norse for King’s Town) is beautifully situated between the Southern Fells and Coniston water, the 5mile long lake famous for the Donald Campbell ‘Bluebird’ water speed record attempts. There are several working slate quarries and Westmorland Green Slate appears in/on local buildings/walls as well as other major buildings all over the world. Copper Mines valley leads to the now dis-used copper mines on the lower slopes of the fells. 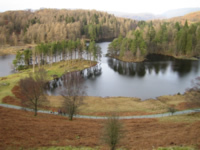 The area has inspired many artists (Ruskin), writers (Collingwood), poets (Wordsworth) and photographers. Traditional Lakeland farms survive and are typified by Yewtree Farm and cafe (2 miles) which has a spinning gallery and provides Herdwick lamb and Galloway beef and was once owned by Beartrix Potter (Miss Potter was filmed here). Ulverston 15 miles, Kendal 23 miles.